Voted twice as the “Best Town Ever” by Outside magazine and named one of “The 45 Places to Go” in the world by the New York Times, Chattanooga proves to be one of the South’s top travel destinations. Summer in the Scenic City means outdoor festivals, one-of-a-kind attractions, live music and entertainment, outdoor recreation, minor-league baseball, farm-fresh dining options, river cruises, microbrews, shopping, parks, cultural pursuits, and plenty of those long, warm pleasant evenings. Chattanooga is easy to get to and less than a two-hour drive from Atlanta, Nashville, Knoxville, Huntsville and Birmingham. That means less time traveling and more time having fun! Once here, park the car and explore the vibrant and compact downtown by foot, aboard the free electric shuttle that connects the Downtown, Riverfront, NorthShore, and Southside Districts, or on one of the 300 bikes in the bike-share system. 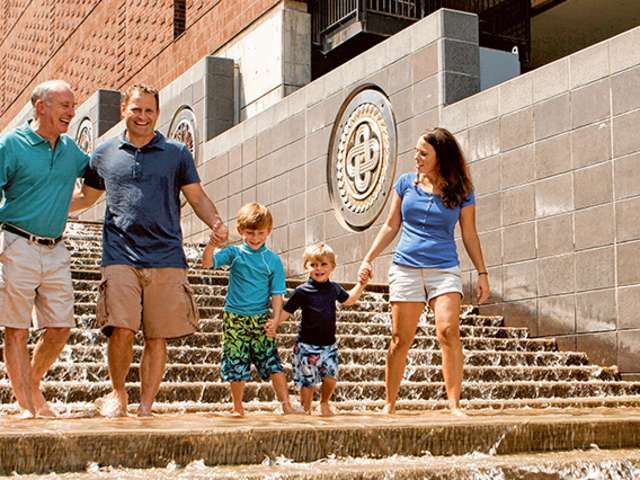 There’s always something happening in Chattanooga – it&apos;s just a matter of choosing which adventure to start with! To make planning a vacation easy, we’ve selected the top 14 reasons you should visit Chattanooga this summer. Park your car and navigate the downtown area via the free electric shuttle or the bike share system with more than 300 bikes throughout the city. ​Save money on attraction/dining/hotel costs by using exclusive special offers. Browse the suggested itineraries when planning your trip. Select a hotel or B&B that has special packages which include dining certificates and attraction and special event tickets. Find events before you visit so you can plan ahead.